This weekend I made some time to install some new components into my computer. After running memtest (and succeeding), it was time to boot. Booting into Ubuntu was no problem at all! There was just one problem that I had anticipated: The computer was used to a Nvidia card, and my new one was a AMD 7850. I had to make sure to use the correct drivers. 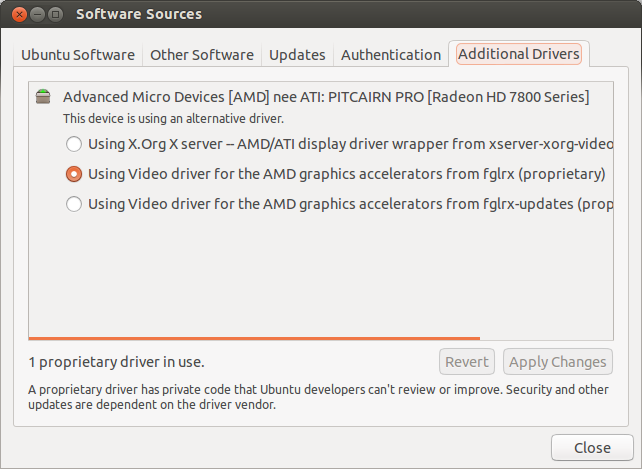 The setting for this has been moved, so it took me a bit of searching, but it can be found in System settings -> Software sources -> Additional drivers tab. Obviously, with a little more graphical power, it was time to try Steam on Linux again. This time I was not greeted with a working steam out of the box, but with a Linux Steam Fatal Error: failed to load: *SteamStartEngine(0xffad8bd0) failed with error 1: CMultiFieldBlob(pSerialized): Partial field header at end of record. After a bit of googling, I found that I was bugged with this issue. At that page there is a solution for Windows and for Mac, but for Linux it seems to be missing. 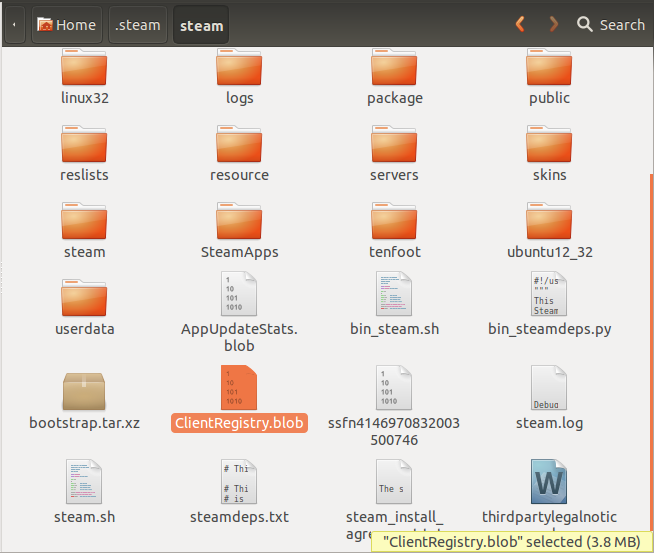 Since this error was due to a corrupted ClientRegistry.blob, I searched for the file and found it at /home/<user>/.steam/steam/ClientRegistry.blob. Removing this file solved the issue for me. Steam was once again running nicely. Don’t forget to make a backup when you’re pulling tricks like this of course :).